Was America’s First Circus Elephant in Haverhill? Did the first circus elephant in America make its way to Haverhill? 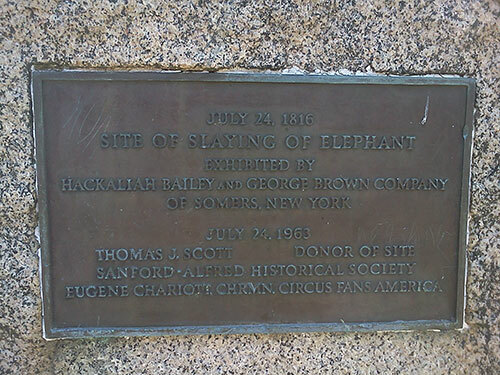 In Alfred, Maine, along route 4 in southern Maine, there is a memorial erected in 1963 by the Sanford-Alfred Historical Society and Circus Fans America. The reason for the great public interest in the killing of this elephant is because it was purported at the time “the” elephant was the first elephant in America. While historians disagree whether the animal was the first or second elephant in America, they agree she was the first circus elephant. The beast that would eventually be known as “Old Bet” arrived from India in April, 1796, aboard the America. The captain of the America was Jacob Crowninshield, scion of the Salem family that made its wealth in trade with India, and the same family that gave their name to the Crowninshield House in Salem. The ship’s logbook includes a note that the elephant was aboard, written by Nathaniel Hathorne, an officer on the ship, and father of novelist Nathaniel Hawthorne. Within days of arriving in New York, newspapers were advertising the elephant. The Argus reported April 23, 1796 the elephant was exhibited at Beaver Street and Broadway. American Heritage notes this area near the Bull’s Head Tavern, a popular destination for itinerant businessmen, including Hachaliah Bailey of Somers, New York, a farmer who regularly brought cattle into the city to sell. Captain Crowninshield’s intent, as preserved in his letters, had always been to sell the elephant as profitable cargo, and soon after, the papers reported the elephant was sold to a “Mr. Owen.” Details are sketchy as to who Owen was, but Hachaliah Bailey’s brother-in-law was named John Owen. This connection to Bailey becomes important because he would make the first family tie to what would later become the “Barnum and Bailey Circus.” Bailey initially made his fortune by touring the northeast with the elephant he first called Betty, and later, Old Bet. Old Bet was moved to the Deep South each winter. These seasonal arrivals have caused more than one source to mistakenly identify the trips as the first arrival of subsequent, similarly named pachyderms. A Haverhill newspaper reports the death of Old Bet. 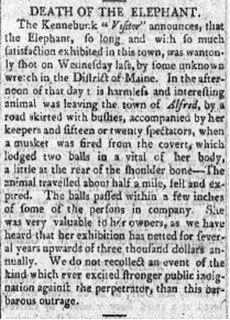 This particular pachyderm’s passing was also noted in Haverhill’s newspapers, such as the page 4 article, at right, appearing in the Aug. 10, 1816 issue of the Merrimack Intelligencer. 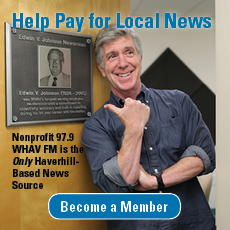 If Old Bet made it to Haverhill, the Haverhill-based newspaper of the time didn’t mention it. In more than 15 years of leading the elephant from town to town, however, it is unlikely he would have missed Haverhill. He followed the Post Roads, often the only maintained roads in the countryside. He arrived on short notice and moved on a few days later. Very few references appear in newspapers of the time and no advertising. Bailey relied on handbills upon arrival, and only a few survive to the modern day. When a broadside was found in 1930 among family papers, it generated a discussion among the readers of the Exeter News-Letter as to the specific year of the Greenland visit. Between the tavern owner’s name and years of operation, it was decided Bailey and Old Bet were in Greenland in mid-October, 1815. The time of the year indicates they were heading north on what is still named Post Road (N.H. state route 151) toward Portsmouth and the annual trip south for the winter. Considering the population of Greenland was under 600 people in 1815, it’s not that great of a stretch to map a route from Boston northerly that included a stop in Haverhill earlier in the tour, with her much more profitable 3,000 person population. 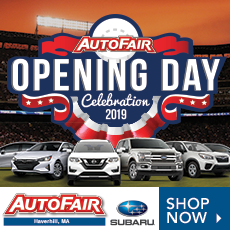 Then Bailey and Old Bet could follow today’s 125 straight up into Kingston, N.H., where it connects with the Londonderry Turnpike (today’s state route 111) in Kingston. Route 111 connects to 151 in North Hampton, with several potential tour stops along the way, such as Exeter. In 1816, per usual, Old Bet toured New England, reaching as far north as Augusta, Maine. On the return trip south, Bailey arrived in Alfred, Maine and made the usual arrangements with a local tavern to put Old Bet in the barn for a cut of the admission profits. After several days, Bailey was walking the elephant down what is now route 4 when a local farmer, who had been driven mad at the loss of his family’s gristmill business, attacked them. Old Bet was shot twice in the head and died moments later. Bailey, never one to give up a revenue stream without a fight, had Old Bet skinned and continued touring with her hide and skeleton. Not quite the profit center as a skeleton as she was when she was alive, Bailey gave Old Bet to P.T. Barnum, who put the remains in his circus museum. This also marked the first tie between the Barnum and the Bailey families. 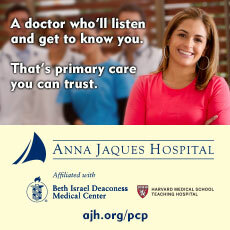 Hachaliah Bailey’s nephew, Frederic Harrison Bailey, discovered orphan James Anthony McGinnis. It was McGinnis who, a name change later, became the famous ringmaster James Bailey. 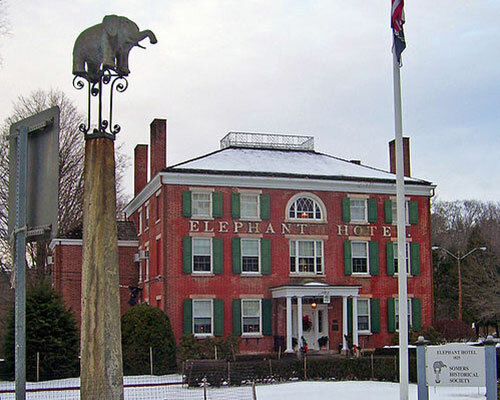 Old Bet had proven to be so profitable to Bailey, dead and alive, that he was able to buy a hotel in Somers, New York, which he renamed the “Elephant Hotel.” Bailey erected a wooden likeness of Old Bet on top of a granite pillar in front of the inn as a memorial. Old Bets’ monument and the Elephant Hotel still stand. The first two floors serve as the Somers Town Hall and third floor is home to the Somers Historical Society and the Museum of the Early American Circus. Incidentally, it is clear Haverhill would later become a popular circus destination. On June 21, 1880, a forerunner of Barnum and Bailey—Cooper, Bailey and Co.—succeeded in performing a newsworthy feat. World champion leaper William H. Batchelder “threw a double somersault over eleven elephants, one being upon a three-foot pedestal, alighting clear and straight upon his feet. By actual measurement this leap was thirty-five feet long and twenty-three feet high,” according to an 1880 circus yearbook compiled by W. G. Crowley. David Goudsward, raised on the summit of Scotland Hill, brings his New England sensibilities and respect for historical perspective his work. Although living in Florida, his bibliography consists primarily of New England topics. His latest book, “Horror Guide to Massachusetts,” is available via Amazon. 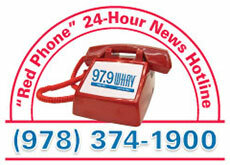 He is WHAV’s Open Mike Show's historian. I drove by that monument for over a year back and forth to work, plus many times over the previous 30 years, and finally one day stopped to see what it was. 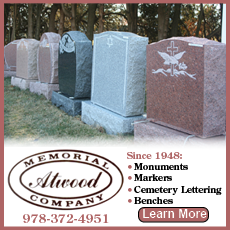 Took some pictures, did some research and found this site. It is an interesting story and a lot of history. It’s hard to believe that anyone would kill an elephant for such a ridiculous reason. Thanks for the story.